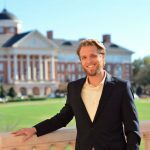 Dr. Cheatham is a National Institutes of Health funded developmental cognitive neuroscientist with a dual appointment as Associate Professor of Psychology and Neuroscience at the University of North Carolina at Chapel Hill and the Nutrition Research Institute (NRI) on the North Carolina Research Campus. At the NRI, Dr. Cheatham is studying the effects of fatty acids, choline, lutein, and anthocyanins on the development and functioning of the hippocampus and frontal lobes, brain structures that are integral to the formation and retrieval of memories and to higher-order cognition. She uses behavioral assessments, an electrophysiological technique known as event-related potentials in her work with infants, children, and older adults. 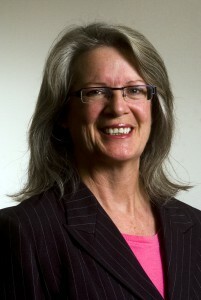 Dr. Cheatham earned her Ph.D. in Child Psychology with an emphasis in Neuroscience in September 2004 at the Institute of Child Development, University of Minnesota – Twin Cities (rated number one in the nation by US News & World Report) with Patricia Bauer and Megan Gunnar, both internationally renowned in their field. During her tenure at the Institute, she studied the development of memory and attention with Dr. Bauer, while simultaneously studying the effects of stress and social support on memory development with Dr. Gunnar. She first became interested in the interplay between nutrition and brain development during her work with the chair of her dissertation committee, Dr. Michael Georgieff, a leading neonatologist who studies the effects of iron intake on brain development. Even though her dissertation did not have a nutrition component, the mentoring she received from Dr. Georgieff was invaluable for the understanding of the effects of nutrition on the brain. In addition, she began to appreciate the value of interdisciplinary ventures and came away with a desire to seek collaborative opportunities that cross traditional lines. Dr. Cheatham views interdisciplinary work as a pathway to a cohesive picture of development. In her work, she is exploring the importance of certain nutrients and foods to the development, maintenance, and lifelong integrity of the hippocampus and frontal brain areas. Nutrition is integral to fetal and infant brain development, which sets the stage for lifelong learning. At the other end of the spectrum, it is beginning to be evident that nutrition is also important in senescence in that certain nutrients coupled with other healthy lifestyle choices can slow the progression of age-related cognitive decline. Grant is a native of Concord, North Carolina. He started at UNC with Dr. Cheatham in August of 2013. In the past, Grant has focused on dopamine signaling along various pathways using nutritional and exercise interventions. He hopes to continue expanding his knowledge in areas of development, particularly brain aging, using nutritional interventions. Grant graduated with a B.S. in Psychology with honors from Appalachian State University in May 2013. He also spent time in Appalachian State's Human performance lab where he studied exercise and nutrition intervention models affect on hippocampal plasticity. Grant will always call the Blue Ridge Mountains his second home. He loves the outdoors! You are likely to find Grant hiking, mountain biking, playing tennis, or riding his motorcycle. Lerin, a recent addition to the Cheatham Lab, is from Columbia, Missouri. She graduated from the University of Missouri with a B.A. in Biological Sciences. 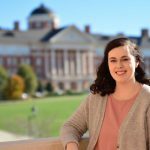 As an undergrad, Lerin worked as a research assistant at the University of Missouri Research Reactor as well as serving as an EMT at University Hospital. Lerin is very excited about the work being done in the Cheatham Lab and is enthusiastic about supporting infant nutrition and cognitive development. In her free time she enjoys cooking, hiking, and taking her dog Lois to the park. Kelly is a recent graduate of the lab and Dr. Cheatham's first Ph.D.! Originally from Holly Springs, NC, Kelly graduated with a B.S. in Psychology and a concentration in Poverty and Human Capabilities from Washington & Lee University in 2008. After graduation she worked for two years in Washington DC with the Alliance for a Healthier Generation. While in the Cheatham lab, Kelly investigated the role of fatty acids, particularly omega-6 and omega-3 fatty acids, on executive functions in middle childhood. She is interested in the balance of fatty acids, measured as the omega-6 to omega-3 fatty acid ratio, and how the optimal balance changes across time to support cognitive development. Her dissertation, titled Fatty acids and executive functions: Cortical activation and behavior across the lifespan used near-infrared spectroscopy to investigate functional brain activity during working memory and planning tasks in children 7 to 12 years old and the role of the ratio in brain activity and behavioral performance. Upon receiving her Ph.D., Kelly made her way up north to Columbus, Ohio, where she is currently completing a Post-Doctoral Fellowship at the Research Institute at Nationwide Children's Hospital and is an instructor in the Department of Pediatrics at The Ohio State University College of Medicine. She is working with Dr. Sarah Keim, an epidemiologist who studies nutrition and cognitive development with a focus on infants born premature. Kelly is involved in Dr. Keim's longitudinal work with infants born preterm (some now 5 to 6 years old and some toddlers) and also, with people in the lab's omega-3 fatty acid working group. This group is engaged in a variety of projects related to the role of omega-3 fatty acids and health. Kelly hopes to follow up on her dissertation, working with the maze and continuing to look at the role of omega-3 fatty acids and health.